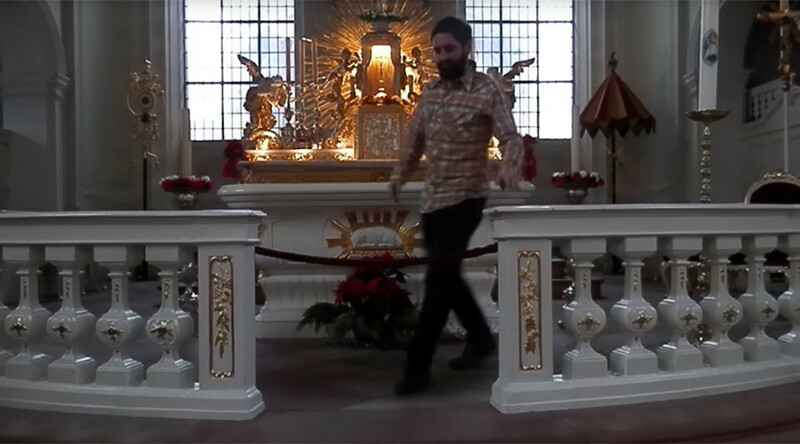 Over a year after doing 27 push-ups on the altar of a catholic church in Germany, artist Alexander Karle was fined by local authorities when video footage of the stunt was shared online. A local court in the German city of Saarbrücken fined Karle €700 (US$746) after the video emerged showing the 38 year old doing the push-ups on the altar of St John’s Basilica, reported dpa. Karle published the video, entitled ‘Pressure to Perform’ on YouTube, and can be seen wiping the altar after his stunt before then quietly leaving. While such a sight may be surprising to onlookers, it didn’t appear to stir any reaction from those in the church at the time. After the video appeared on display in an art center last February, however, the Church then reacted, with the parish bringing charges against Karle for defiling the place of worship. Karle was handed down an initial fine of €1,500 from the General Prosecutor’s Office for disturbance of religious activities and illegal entry in a church domain closed to the public. Karle, who studied in a local university of Arts, refused to pay the fine. He said he wanted “to study the links between religion and the need to conform to high standards of the time.” He insisted that it was an artistic performance, so his case was forwarded to the court. The trial took place on Tuesday, with Karle even creating a Facebook page titled ‘Screening: Pressure to Perform’ dedicated to the trial. 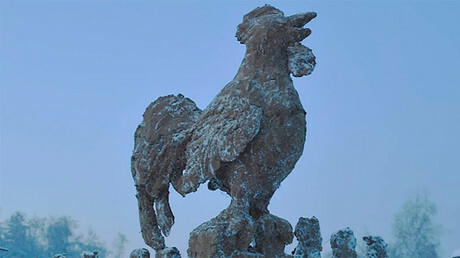 “In addition to screening the video ‘Pressure to Perform’, it’ll be settled whether the question here is a crime or we have a democratic right to freely express our opinion through artistic interventions,” adding that his performance wasn’t an attack against the Church. Karle was described as being “very humble” in the way he carried out his performance, which was recorded between December 24, 2015 and January 10, 2016 according to local media, as he had “carefully removed and then put back again” the white cloth covering the altar. “In the beginning, the Catholic Church’s emphasis was on non-materialism, that is, for instance ‘It is not the issue of the Holy altar itself, but of what the altar stands for.’ And that has changed,” Karle told Süddeutsche Zeitung newspaper.